WILDMOKA, the leader in video automation, enrichment and monetization technologies, announces today that Moments Share has been selected by CANAL+ Group, the leading pay-TV operator in France, to launch a videoclip-sharing feature on CANALPLUS.FR called L’INSTANTCANAL. Moments Share, WILDMOKA’s Social TV revenue generating solution, is an amazingly simple and fun sharing application allowing the end-user to navigate in a video, select a sub-set of images or a short clip and share it with his/her friends through any social or communication media. Moments Share is part of the Moments Service Suite that includes other breakthrough solutions such as Moments Replay, which provides an enriched and fun replay of any TV programs, or Moments Capture, which automatically captures and values key moments of TV shows or live events. Moments Share has been developed on top of WILDMOKA platform, a cloud based scalable video infrastructure that turns in real-time any video source into rich, interactive and social-enabled content. WILDMOKA platform ingests any video stream (including live TV), and thanks to patented algorithms, de-linearizes and enriches this content in real-time, complementing this stream with social video. WILDMOKA will demonstrate Moments Share and the other solutions and capabilities of its platform at the IBC, Hall 2 - Booth B39i. CANAL+ Group is the leading pay-TV company in France. It is at the forefront in providing premium-content and themed networks, as well as in bundling and the distribution of pay-TV offerings. Taking into account its pay-TV operations in Africa, Poland and Vietnam, the Group has a total subscriber base of 14.7 million. 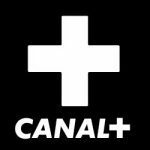 CANAL+ Group is also a benchmark player in free-to-air television broadcasting, with three national channels and advertising sales division. Through its subsidiary STUDIOCANAL, CANAL+ Group is a European leader in motion picture and TV series production and distribution. A pioneer in digital TV in Europe, CANAL+ Group is on the leading edge in developing new services and ways of watching television, especially catch-up, video on demand and personalized TV. In 2013, the Group also developed its presence on the open Internet. WILDMOKA is a French company developing patented technologies that reinvent the TV watching experience. WILDMOKA cloud platform turns in real-time any video source into an enriched, de-linearized, navigable and social content, available on any screen through truly innovative applications. WILDMOKA targets content owners and service providers willing to offer an ever-increasing interaction between end-users and their programs, in order to address new usages, expand their audience and grow the monetization opportunities. WILDMOKA is a profitable company whose products and services have already been selected by major players in Europe and in the US.